How many of us have bought the Dragonwind off ebay that’s missing several pieces only to realize later that you can probably find some green tubes and missiles but getting that glider is going to be a problem! That’s why I’m adding a template for the Dragonwind Glider. 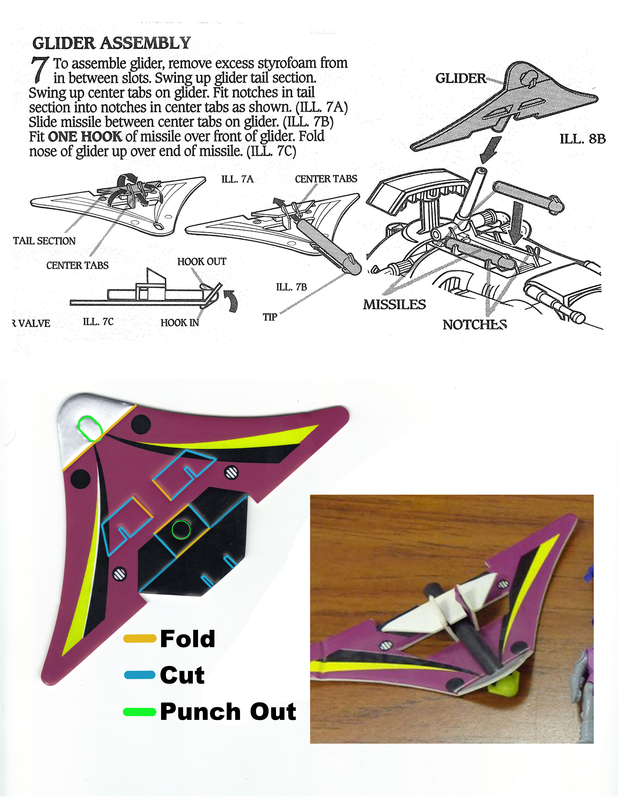 I’ve put up the original instructions, a quick color visual for how the tabs should be folded or cut as well as a template for printing the glider itself. I’ve seen several links and videos for DIY gliders and many people seem to recommend using foam plates or takeout containers. The foam is fragile and thin but also stiff and lightweight, making it similar to the material used for the original Dragonwind glider. The trick is to find a brand that does not have raised lettering or logo art on the foam, otherwise it would ruin the next step and that’s using printable sticker paper. The easiest way to do this is to start by printing out the 8.5″x11″ template I’m providing. Use printable sticker paper. Then cut out the glider stickers and use them as a template to trace out the proper glider shape from the foam material you chose. Cut the foam shape out using a sharp X-acto knife. Peel the stickers and put them on both sides of the glider. Now the sticker art should give you a template to follow as to exactly where you need to cut, fold or punch out the foam tabs. Depending on how brittle the foam is; the sticker paper might be the only thing that keeps the thing together if the foam snaps upon too much folding, so be careful! Okay, so this won’t be a perfect solution but it should function and give your Dragonwind something to have perched on the missile launcher. In a future post, I will try and build this myself as well as provide any tips I learn along the way. In addition, I’ll see if there are any particular brands for sticker paper or foam materials that work best. Feel free to share your insights as well. 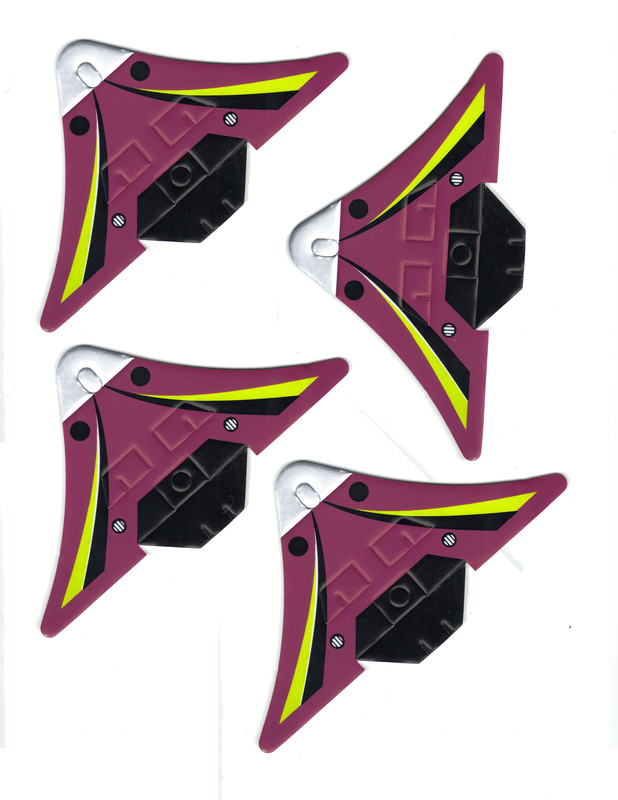 Big thanks to replicant01 for providing the original glider art! Enjoy and click here to like us on Facebook! Right click and choose “save as” for the image below so you can print it. Very nice! I’ll have to give this a try. Cool, take pics when you do!